This statistic is based on a survey conducted among leading executives of U.S. healthcare organizations. 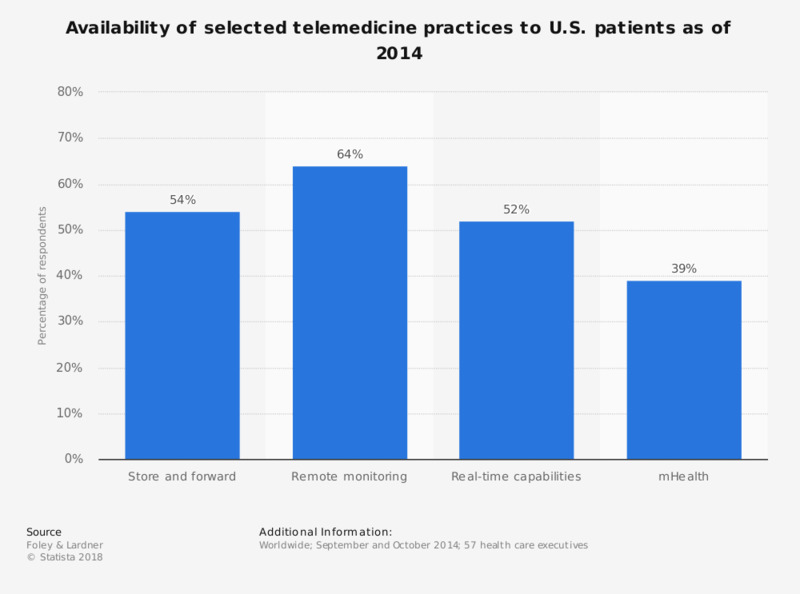 It depicts the availability of selected telemedicine practices to U.S. patients as of 2014. Roughly two of three respondents stated that remote monitoring was available to patients in their organization. Original question: "Which of the following telemedicine practices are currently available to patients through your organization? Please select all that apply."